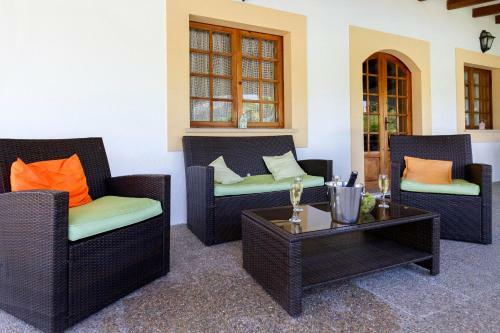 Villa Clos in Pollença is a holiday home with 1 room. 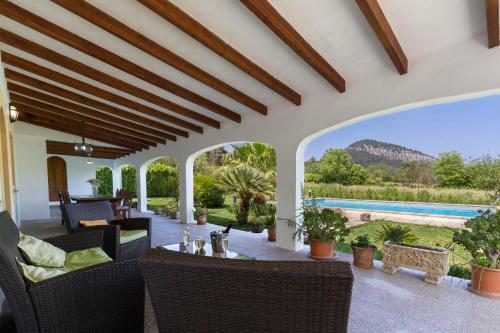 Featuring an outdoor swimming pool with sun loungers, covered terrace with dining area and BBQ facilities, Villa Clos is located a 10-minute drive from Pollensa. Free WiFi is available. 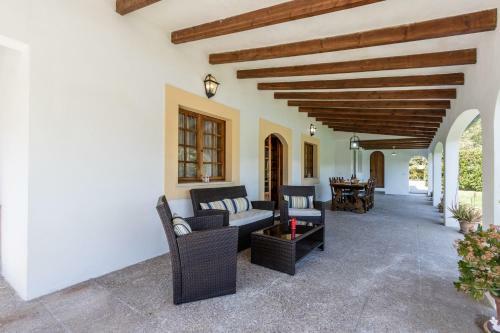 Offering wooden-beam ceilings, wooden floors and terracotta tiles, the house has 1 double bedroom, 1 twin bedroom, 1 mezzanine area with 2 single beds, and 1 bathroom with bath. The modern kitchen includes an electric oven, gas hob, microwave and dishwasher. The living room has 2 sofas, a satellite TV and DVD pla...yer. You can enjoy mountain views from the garden, and the pool is surrounded by palm, lemon and fig trees, as well as cacti and roses. There is an outdoor shower by the pool. 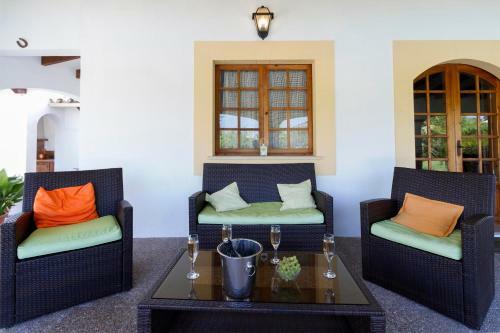 Villa Clos is located 3.3 km from Port d'Alcudia with its sandy beaches, restaurants, bars and supermarkets. Palma-Mallorca Airport is a 40-minute drive away. 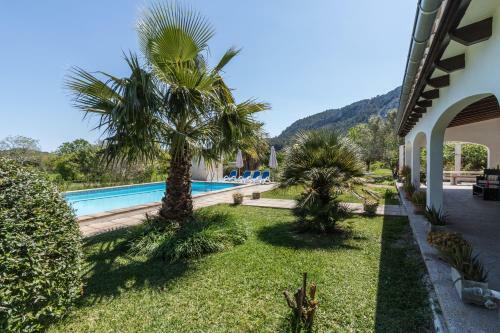 Featuring an outdoor swimming pool with sun loungers, covered terrace with dining area and BBQ facilities, Villa Clos is located a 10-minute drive fro...m Pollensa. Free WiFi is available. 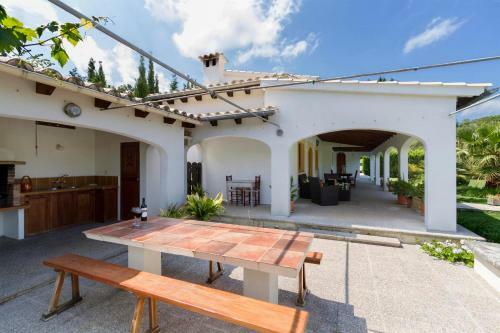 Offering wooden-beam ceilings, wooden floors and terracotta tiles, the house has 1 double bedroom, 1 twin bedroom, 1 mezzanine area with 2 single beds, and 1 bathroom with bath. The modern kitchen includes an electric oven, gas hob, microwave and dishwasher. The living room has 2 sofas, a satellite TV and DVD player. You can enjoy mountain views from the garden, and the pool is surrounded by palm, lemon and fig trees, as well as cacti and roses. There is an outdoor shower by the pool. 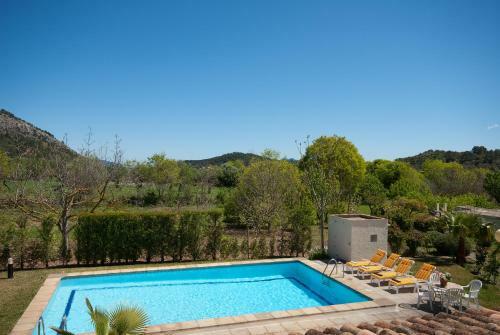 Villa Clos is located 3.3 km from Port d'Alcudia with its sandy beaches, restaurants, bars and supermarkets. Palma-Mallorca Airport is a 40-minute drive away. 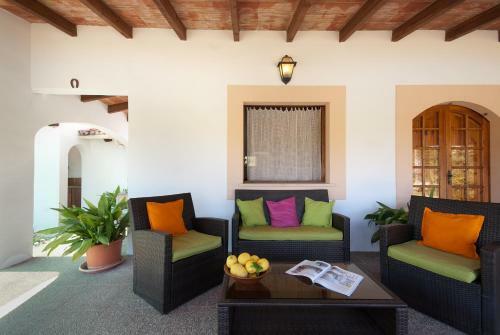 When would you like to stay at Villa Clos? Please inform Villa Clos in advance of your expected arrival time. You can use the Special Requests box when booking, or contact the property directly with the contact details provided in your confirmation. This property will not accommodate hen, stag or similar parties. Please note that information about key collection and the exact address will be provided once a booking has been made.